After 8 years of Scott Walker divide and conquer, it's refreshing to see a Governor willing to find common ground. 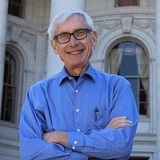 MADISON - On Tuesday, newly elected Governor Tony Evers gave his 2019 State of the State Address in the Assembly Chambers of the Wisconsin State Capitol. 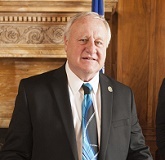 Green Bay's Senator Dave Hansen was there and had the following response. “After 8 years of divide and conquer from Scott Walker to hear a message of hope it was a breath of fresh air to hear our new governor talking about wanting to work together on behalf of the people for a change. “He delivered a positive message of hope and a willingness to work together to move Wisconsin forward, not just for the special interests but for all the people, especially those who have been left behind by the policies of the last 8 years. “It has also been refreshing to see a Governor travelling the state holding listening sessions that are open to anyone who wants to attend them compared to the invite-only affairs that Scott Walker held.